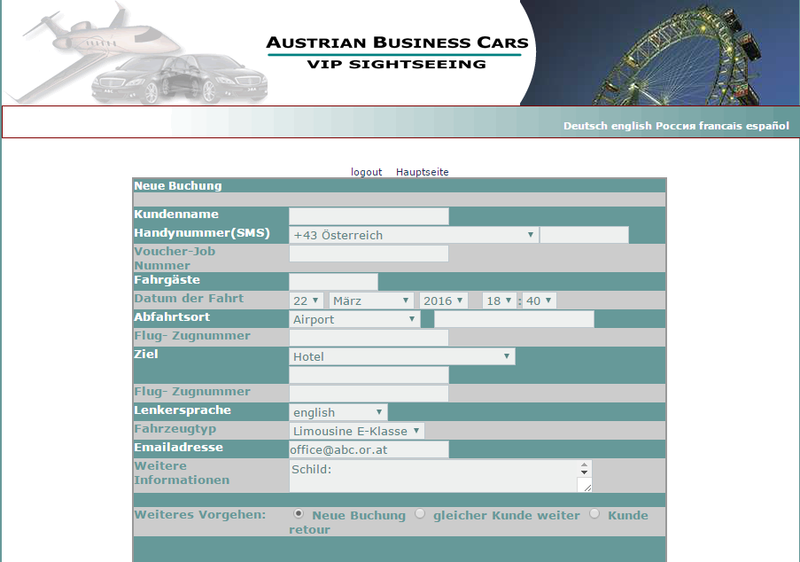 ABC VIP Sightseeing is the only car hire company in Austria to offer a modern and interactive booking system. Via personal access code our clients can insert their requirements and of course cancel or change them at a later date. In addition the system provides a daily overview that can be printed out. Our frequent customers that book a lot of transfers have come to appreciate this excellent organizing-tool. Within office hours (05:00 – 22:00) online booking or changes are checked immediately and confirmed by email. This enables you to even book your short notice transfers online.